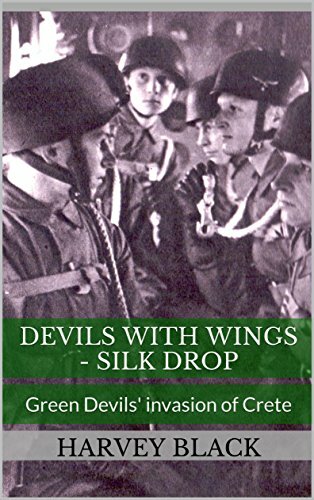 Devils with Wings: Silk Drop – Fallschirmjager, airborne assault on Crete. 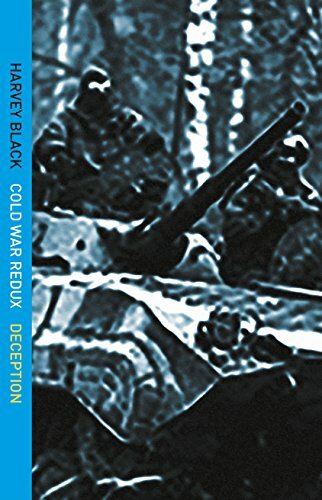 This exciting fictionalised retelling of the invasion of Crete is written by an author with extensive experience in army intelligence. 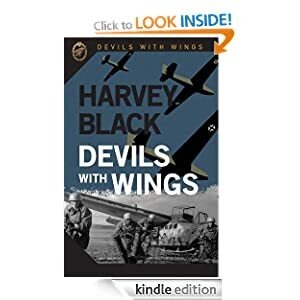 It’s the follow up to Devils With Wings, and continues the wartime adventures of Fallschirmjager paratrooper Paul Brand and his Feldwebel Max Grun. On a high after their successful subjugation of Fort Eben Emael, Paul Brand, now in command of his own company, and Feldwebel Max Grun, are parachuted into Greece to help capture the bridge spanning the Corinth Canal. Tough times are ahead when the German High Command decide to invade the Island of Crete. This will be the first ever airborne invasion in military history. 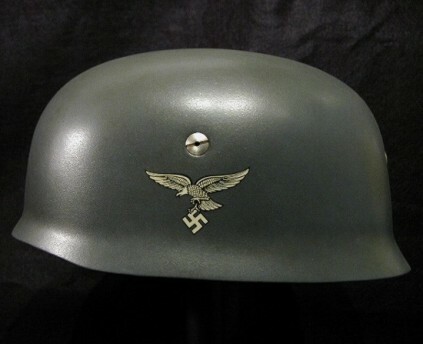 The Fallschirmjager, supported by the famous Gebirgsjager mountain troops, are up against 40,000 allied soldiers – who will fight to the bitter end to protect Crete. Operating behind enemy lines, Paul Brand and Max Grun will face challenges that not only tests their fortitude but strains the close bond between them. 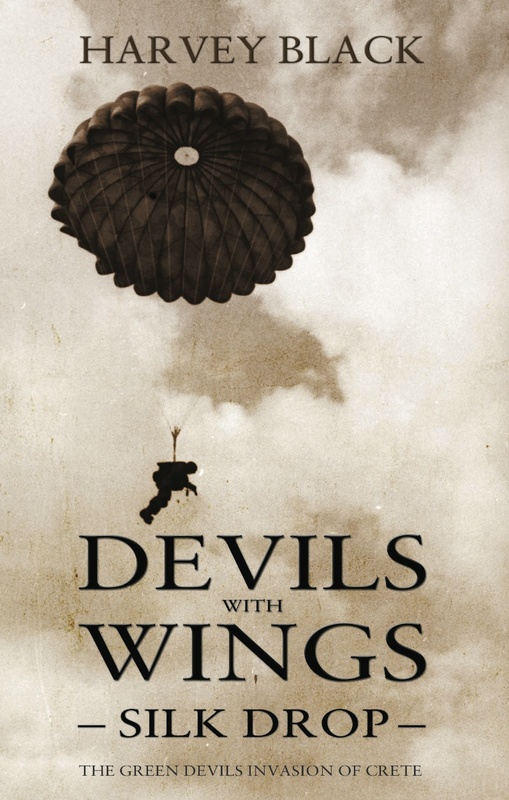 Silk Drop is a thrilling sequel to Devils With Wings and is based on a factual episode. 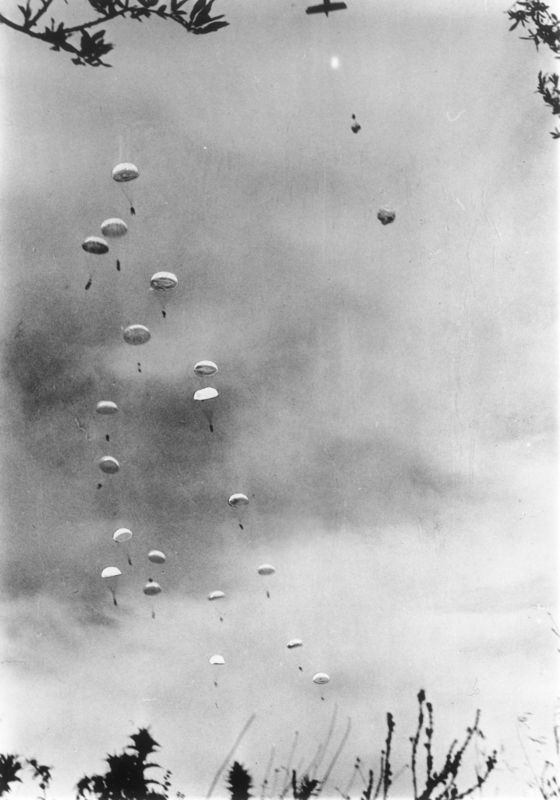 The battle of Crete, Operation Mercury, began on the morning of the 20th May, 1941. Greek and Allied forces defended the Island. 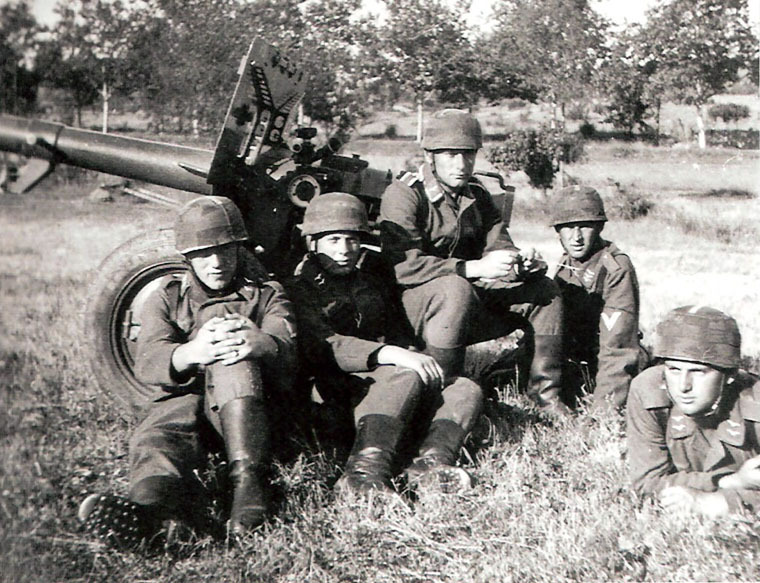 The Fallschirmjager, German Paratroopers, were used on a huge scale, the first ever mainly airborne invasion in history. 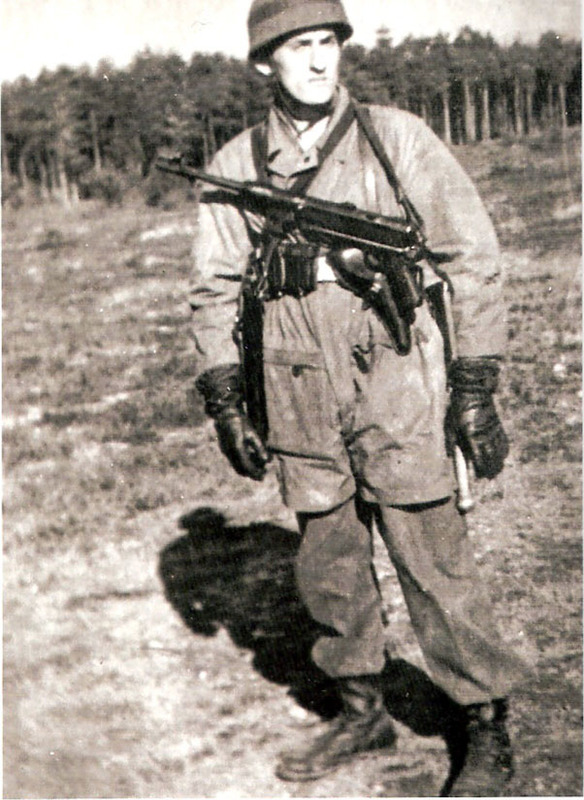 Up to 15,000 elite, Fallschirmjager initiated the attack by glider and parachute, later supported by up to 15,000 Gebirgsjager, Mountain Troops. 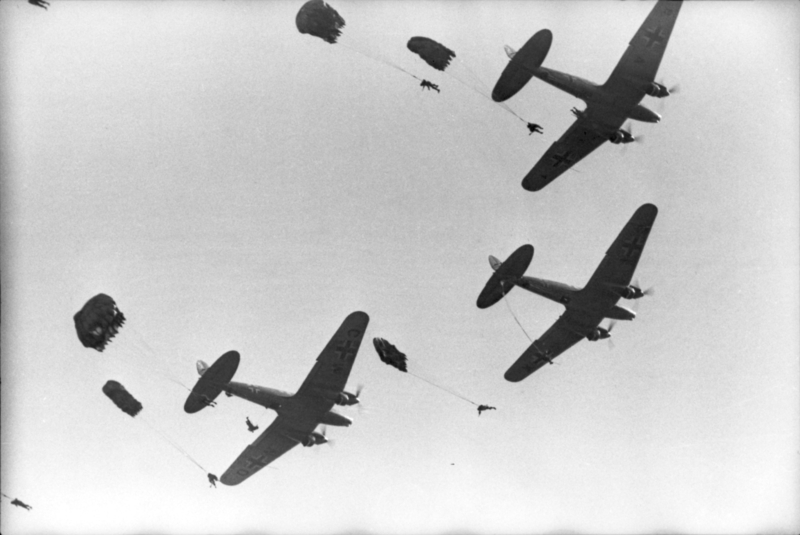 Nearly five hundred transport aircraft were used, the famous Junkers JU 52, Tante Ju, Aunty June, to the paratroopers. Although a success, taking Crete in only 10 days, it was a Pyrrhic victory. Up to 7,000 were killed or wounded and over 350 aircraft were destroyed. 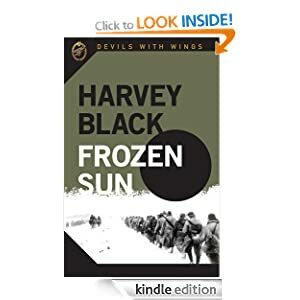 They were never again used in large scale airborne operations, but as elite troops, they fought in every theatre of the war, by the River Neva near Leningrad, Monte Casino, Italy, Battle of the Bulge, Normandy and Africa. ← Auschwitz and Auschwitz-Birkenau. The infamous concentration camps 50km West of Krakow. A great book…Highly recommended!….Just waiting for the author to pull his finger out and finish book 3! My father fought in WWII. What unit was he in and what theatre? He was with the Stormont Dundas & Glengarry Highlanders from Eastern Ontario. Not sure what theatre but I know he was in France and Belgium while he was there. I put a post on my blog a while back that included pictures that were “approved by the war department” that my Dad is in.